When a Conservative Blogger is given the choice of voting for either an Anti-Corruption Progressive or current State Senate President Kevin de Leon in the 24th State Senate District Campaign, the answer is in the details .........., of a certain FBI Affidavit. 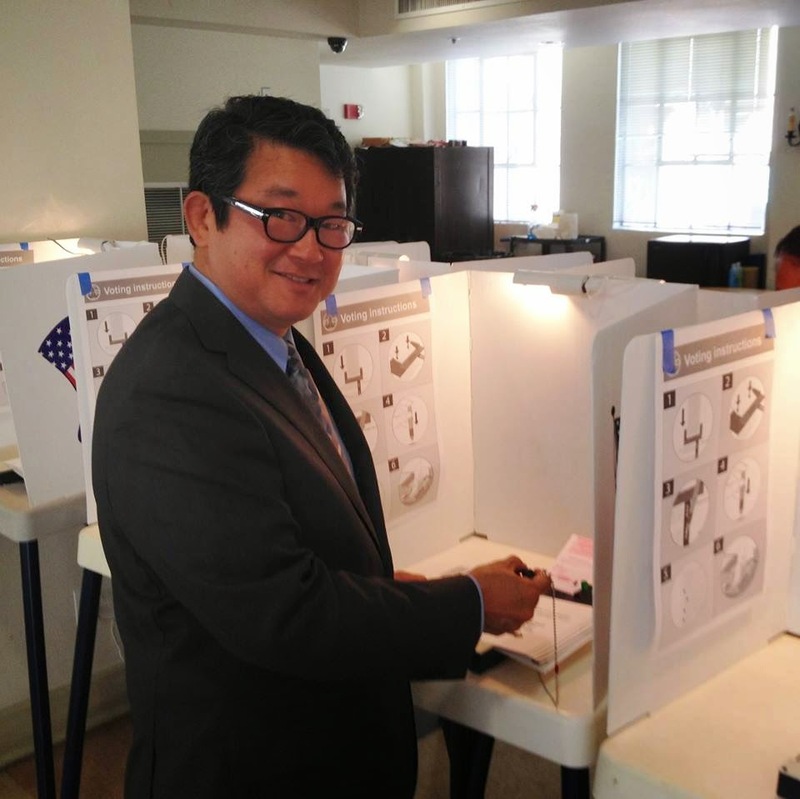 Eagle Rock Resident and 24th District State Senate Candidate Peter Choi. ** Blogger's Note: With the onset of the "Greece on the Pacific's" (formerly the Golden State) Open Primary System, where the top two vote getters advance to the November General Elections, there would surely come times (especially for register Republicans within the City of Los Angeles) when your top two choices for state-wide office could be only Democrats. Thus, for the second time in two years. Northeast Los Angeles Voters will have the choice of choosing between a proud Progressive and an Establishment Democrat (originally deposited into the community, with Special Interest-laden carpetbag), this time for the 24th State Senate District. The General Election Matchup is truly a "David vs. Goliath Battle", with Incumbent State Senator (and Majority Leader) Kevin de Leon heavily favored over Eagle Rock Progressive Democrat Peter Choi, for a second, and last, four year term. Most isolated Republicans (20-30% of voters) within the deep blue Collectivist Dependentcrat Enclave, would not be faulted if the skip this area on the November Ballot That said, Republican voters would be remised, NOT to pass up an opportunity to cast a vote again the corrupting influence of the Special Interest-controlled Democratic Party Establishment and its new State Senate Leader Kevin de Leon, by supporting local Progressive Peter Choi. There is no doubt that Peter Choi is true to his Progressive leanings, which would run counter to most register Republicans (especially Conservative/ Tea Party believers, including myself). Support fracking for energy independence, Choi would give you a windmill. Want the freedom to Open Carry, Choi would say naught, Say the world is actually cooling, Choi would cite the current drought in counter argument. Get the idea? But where true believers on the Right can break the bread with the Progressive Left in this campaign, is the need to send a message to the controlling Establishments of both parties regarding the corrupting corrosion afflicting Democrats and Republicans. 24th State Senate voters, regardless of party affiliation, need only to review the page below from the State Senator Ron Calderon FBI Affidavit to note the legally-questionable proposed deal between Senator De Leon and Calderon, to grant the now Indicted Montebello Lawmaker a paid State Commission Appointment, in return for supporting Senator Ricardo Lara as the leader of the Latino Caucus. I agree. He has my vote! Met him at LA#@ and ERNC, rage against the machine. The usual vs the genuine. Its Vote Buying Time in CD 14! !